George Jackson was an out-of-work gun-barrel borer who had taken a labouring job on the road near Penns. He walked the five miles to and from work every day, and soon after 6.00 a.m. on the morning of May 27th 1817 he was walking along a footpath between Orphanage Road and Penns Lane. He noticed a bundle of clothes, a bonnet and some shoes near the footpath on the bank of a horse pond. He noticed some bloodstains on the shoes, and raised the alarm. Joseph Webster, the owner of Penns Mill, took charge, the pool was dragged and the fully-clothed body of Mary Ashford was removed. Tomorrow is the 200th anniversary of her death. Quite a crowd of men had gathered near the fatal pond, and all of them believed that Mary had been raped and then thrown into the pond. She had been at a dance the night before, and was last seen in the company of Abraham Thornton. Thornton must have had a bad reputation, as nobody had any difficulty in believing him guilty of the presumed crime. At the Coroner’s Inquest on 30th May, held at Penns Mill and conducted by the Warden of Sutton Coldfield, Francis Beynon Hacket of Moor Hall, the verdict was that Thornton was guilty of the murder of Mary Ashford, and he was sent for trial at the Warwick Assizes on August 8th. At this trial the time of death was estimated at 4.30, but witnesses were able to account for Thornton’s movements some miles away just after 4.30 a.m. on May 27th . The jury did not believe that Thornton could be in two places at once, and he was acquitted. The case caused a sensation, covered in lurid detail by the gutter press, and kept alive by the appeal process. Although Thornton was acquitted, local prejudice was so strong against him that he was regarded as the murderer, and no effort seems to have been made to investigate any other possible suspects. Mary may well have stopped at the pond to clean herself up - it was light by then, sunrise was just before 4.00 - or even to bathe and accidentally drowned, or perhaps she committed suicide. There was a longer trial on appeal in London, with the same result, deplored by the Lichfield Mercury as a travesty of justice - the newspaper article continued “From what has been published, but more particularly from other communications, we learn that poor Mary was a beautiful girl, of perfect symmetry of form, and of a character most amiable and sprightly.” A public subscription was started and raised a considerable sum to pay for a suitable memorial for her. 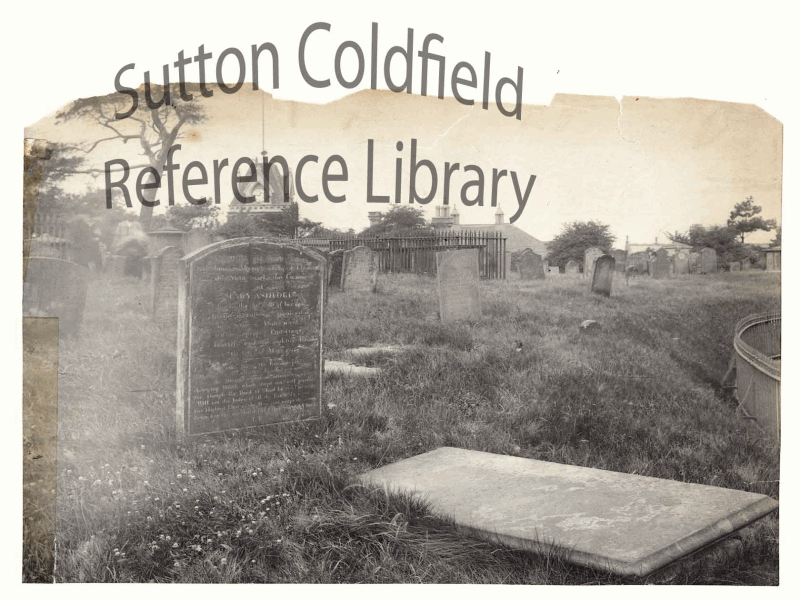 Mary was buried in Sutton churchyard, where her tomb can still be seen, although the Headstone lasted only 100 years. Mary Ashford’s grave in Sutton Churchyard c.1895 - the stone slab can still be seen, but the headstone has gone. The tomb was a tourist attraction for morbid visitors for many years, and sometimes defaced by “youths from Birmingham” (photo courtesy of Sutton Reference Library).